« Flinn Art Gallery opening! 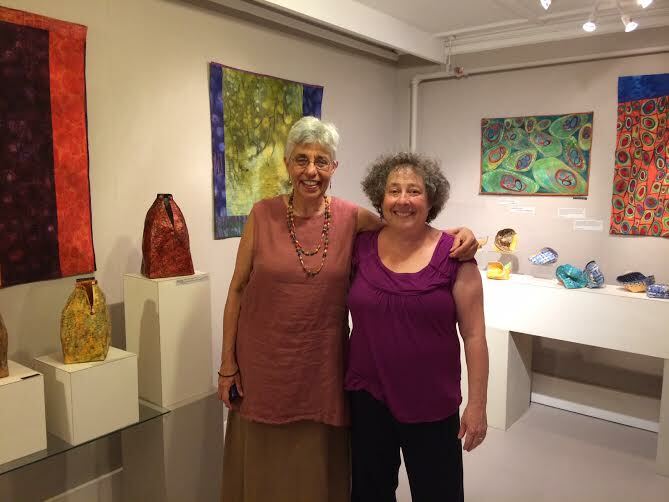 My two person show with Jackie Abrams (seriously, take a look at her work) at Gallery in the Woods in Brattleboro, VT opened last Friday evening during the monthly Gallery Walk. We explained to people coming in that I was the “wall person” and she was the one on the pedestals : ). 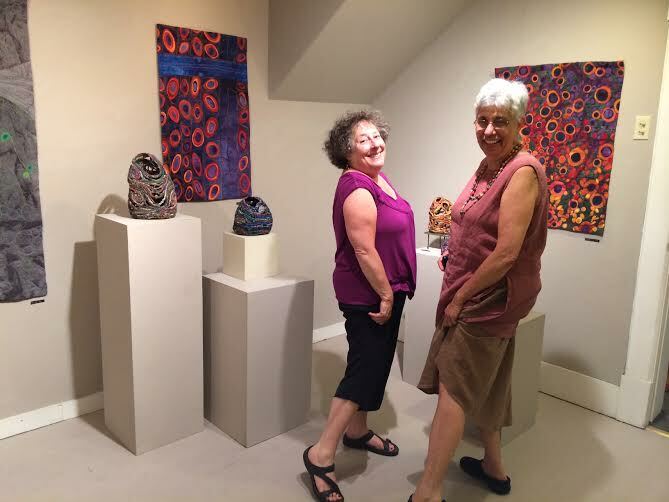 Both Jackie and I were pleased with how our art seemed to harmoniously work together visually! We even talked about possible future exhibits together. Many folks dropped by with lots of great questions and interest. But there were two unexpected high points for me . A few years back I had a large exhibit in the rotunda of Dartmouth Hitchcock Medical Center. 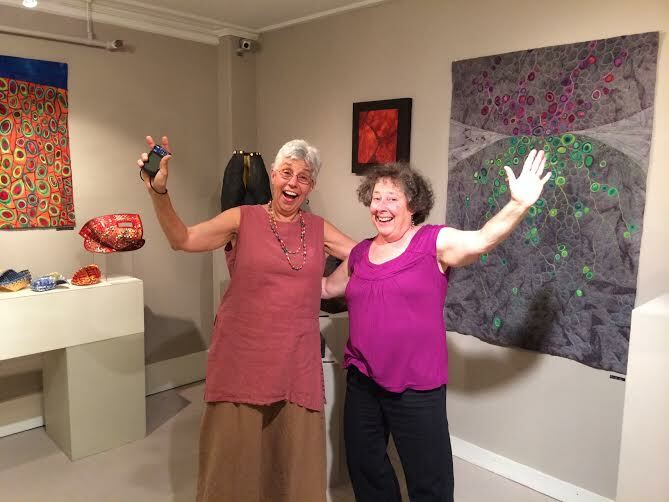 Friday evening, two women (separately) talked to me about how being able to spend time with my art at that exhibit had helped them through difficult medical treatment-the power of art and healing. Made my night! Being serious about our art, we stopped at nothing to pull viewers into the gallery. This entry was posted on September 10, 2014 at 9:35 am and is filed under Artists, Exhibits. You can follow any responses to this entry through the RSS 2.0 feed. You can leave a response, or trackback from your own site. How about you, leaning on the wall and Jackie sitting on a pedestal? Thank you Gjeneve. I can’t say it’s always there but it was that night! Maybe in 10 years you’ll be able to! Possibly my favorite post! Healing Art!